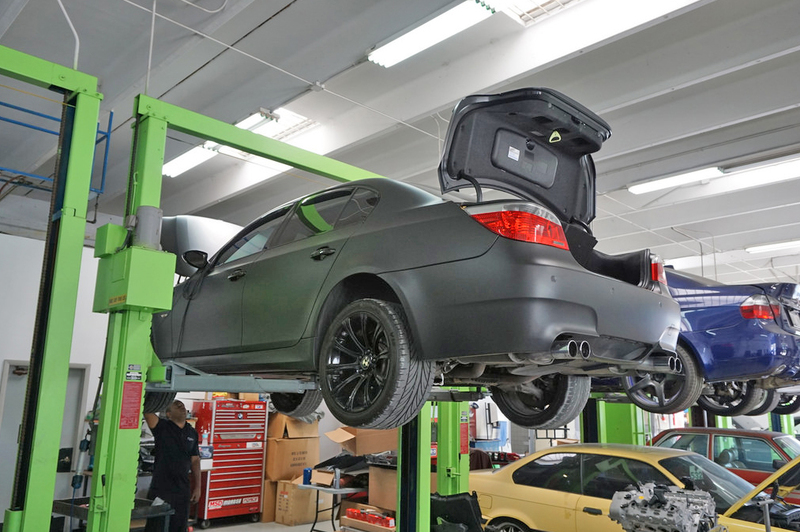 A few weeks ago, we had a customer contact us regarding his E60 BMW M5. He expressed to us that he had been contemplating whether or not to bite the bullet and replace the V-10 S85’s bearings after seeing and hearing of the horrible aftermath that can ensue should they fail. With 114K miles on the M5’s odometer, we strongly urged him to bring “El Guapo” in before he saw the same catastrophic failure other unfortunate //M-powered cars have previously experienced. Without the proper clearance, oil will not float the bearings properly. This results in excessive and unnecessary heat, which leads to lubrication breakdown and premature wearing of the bearing’s surface. It’s a story that //M owners know all too well; early versions of the BMW E46 M3 as well some E9X M3s produced between ’08 and ’13 have also been known to come across some bearing clearance issues from time to time. Once we opened up the S85 V10 and began investigating, it was clear “El Guapo” was one of the lucky M5’s that hadn’t encountered too much of an issue due to this design flaw. 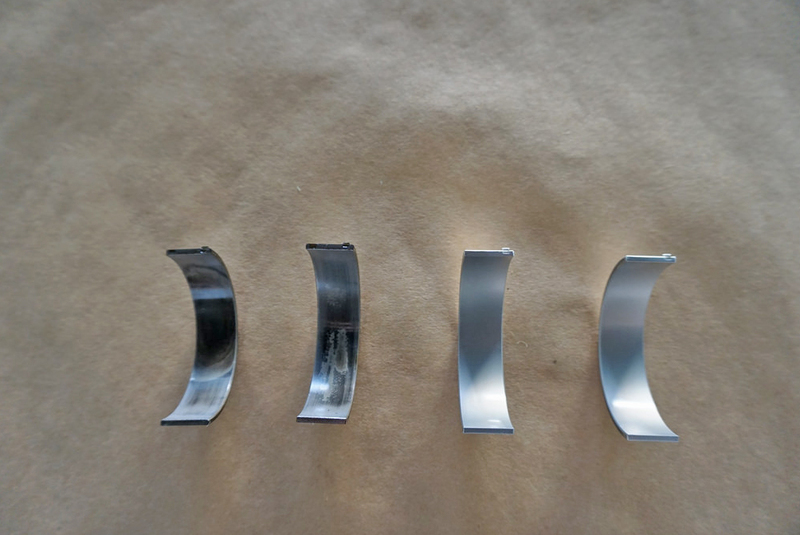 With that being said, the bearings had still seen a significant amount of wear – most likely from heat and high RPM stress. 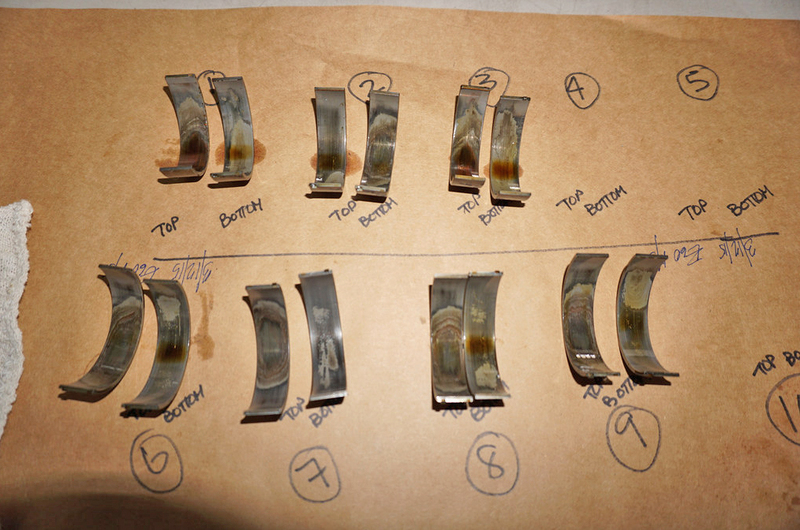 The wear seen on the S85’s bearings resembled what we’ve seen when replacing the S65 bearings on the BMW M3. 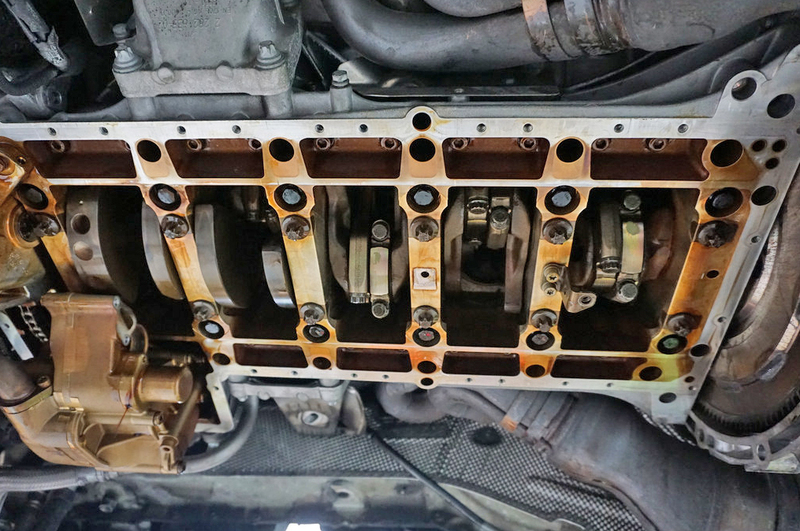 With the M3, we generally see additional wear on cylinders 1 and 5, also likely caused by excessive heat. This could be attributed to those cylinders not receiving the necessary oil flow and suffering first. Although this is the most likely cause for bearing wear on the V10, it’s hard to be certain since we rarely see M5 owners bring their cars in for this service – most head to the dealer, and are then confronted with 5-figure bills. Of course, a bearing replacement job is not just for an average C or D-class technician; so think about it long and hard before you take your baby to Joe Schmoe Automotive down the street. It requires an A or B-level tech, the proper tools, a VERY clean environment and – we estimate – at least three full work days for a professional job – meaning the parts are not just replaced, but a proper inspection is completed as well. Needless to say, “El Guapo” and his owner Tim are more than pleased the bearings were replaced when they were. Who knows how much longer the M5 would have made it before catastrophic failure? For more information on “El Guapo’s” bearing replacement and Tim’s experience with us, check out our Flickr account, or any of Tim’s threads on the M5board: here, here, here, and here. how much is it to do this to my M5? and where are you guys located? Hi Oscar – we’re located in south Miami, FL. For an E60 M5 you’d be looking at around $2995 including parts and labor. Send an e-mail to rhugh@activeautowerke.com for more information!